Are you interested in living off the grid? It seems to be all the “rage” today, as many are moving to a more simple life. Here is one family’s story and tips for how to get started living off grid. We are 100% living off grid, using solar power. We started this venture in 2010 when we moved from PA to ID moving to raw untouched land we purchased site unseen and setup our canvas wall tent to which we called home for 8 1/2 months while we built our own home. We both grew up on farms as children and were brought up in a traditional environment. It was something we initially wanted to get away from as young adults, but it had seeped into our bones and now we feel that we are living in the wrong era. We love the simplicity of traditional living therefore we try to do as much for ourselves as we can. We raise meat rabbits, chickens mainly for eggs, milk goats and honey bees. We also hunt all our meat for the year during the hunting seasons. We are finally able to get our garden and greenhouse in this year which will be a true blessing and savings from buying high priced organic produce, not that it is not worth it to have good produces, but one less expense for our family and one more way we are becoming more self reliant. We can everything we can get our hands on and purchase everything else we need in bulk quantities. Living off grid provided us with a freedom from the norm. An ability to be self contained and able to provide for ourselves. Can everyone do it? Yes! Some may have an expensive fuel bill because they won’t alter their current every day routine prior to going solar, where others will use the generator a little to charge their batteries when necessary and have little expense and then there will be people like ourselves who adjust to our solar and are frugal with our power and do most of our power consuming things on sunny days to eliminate expenses of any kind. Right now we just have solar, but we are looking into adding a wind generation system. Another consideration for an off-grid lifestyle is to look for property that has a year round stream or creek. A hydro power system is another great way to supplement extra power during the gray days and gray months of winter. There are definitely things to consider when going off-grid such as what appliances will work well with the system you choose, being cautious with high power consuming appliances, knowing the amount of power your family currently consumes daily and what system is right for you. Have you considered living off grid? What is the first thing you will do? Tammy Trayer is a Christian, wife, homeschool mom, web designer, contributing writer for The New Pioneer Magazine, American Frontiersman Magazine, Self Reliance Illustrated and Prepare Magazine, soon-to-be author, radio show host at the SurvivalMomRadio.com, pioneer, homesteader, wilderness survivalist, austism advocate for her son, share her knowledge on gluten free and casein free diet, cooking and baking everything from scratch, raising animals, gardening and so much more over at http://trayerwilderness.com. You can also find her on Facebook, YouTube, Twitter, Google+ and her writing website at http://tammytrayer.com. Living off the grid is a goal our family strives for in the long term, I commend you for making it happen. It’s a lot of work and a real commitment. It’s a shame – here in North Carolina, we can’t go off-grid due to housing regulations. But I hope to at least have enough energy raised from wind and solar on my property that we can feed INTO the grid and make a few bucks! Has your situation changed or gotten better since you posted? I Would LOVE To Live Like You Do So My Kinda Living Thank You For Sharing!! I read another book about off the grid living. I would be interested in reading yours too. This is an encouraging post. I am no where near off grid living, but homesteading and making a more self-reliant lifestyle has always been a dream of mine. Very interesting! 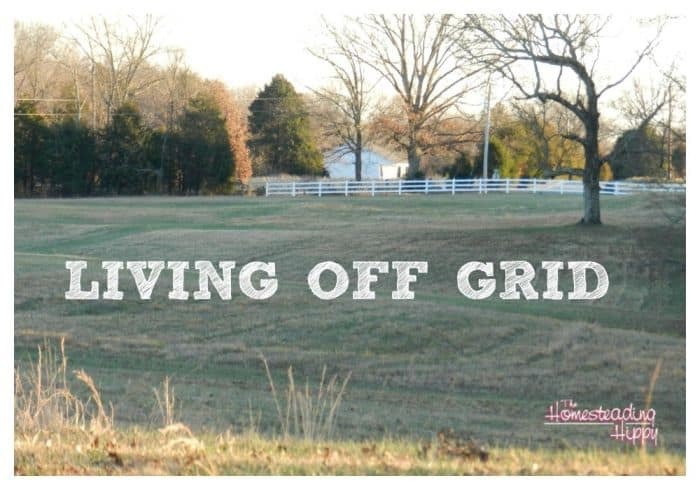 We are going to work towards going off grid over the next several years and I’m hoping I put some good choices into the building of our house to support that! Living like this will be the future for many. I would never be able to get my family to do this but this article gives me some ideas about doing a garden and looking into getting an outdoor wood burning stove to save on heating bills. Our goal is to someday live off grid as well. It’s so neat to hear stories of people that are doing it! 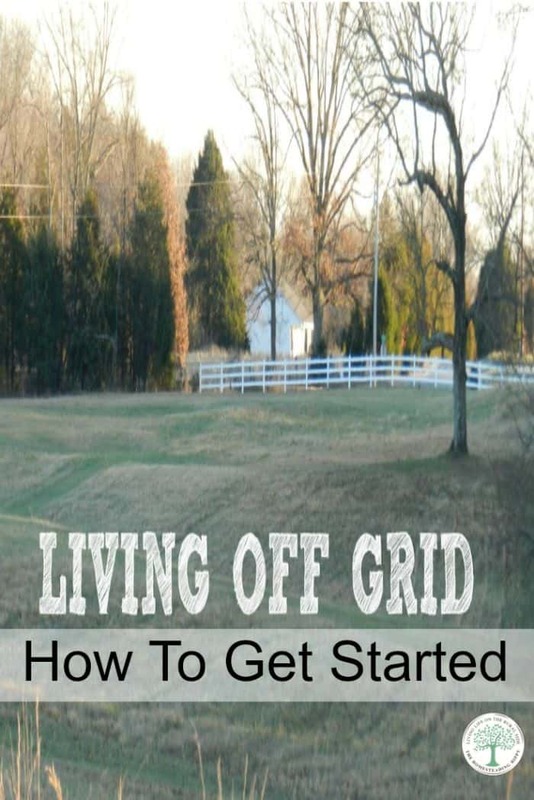 I’d love to read your book on using solar power to stay off-the-grid. My land is miles from the nearest utilities, and I’m planning on keeping it that way. I could definitely use the information as I’m mostly solar and electric illiterate. Wow that’s a amazing! I don’t think it will ever be an option for me, but I’m so happy to be influenced by off grid living, like our own solar and raising chickens. It’s not much, but you are leading the way for those of us who are more urban. I am impressed that you are 100% solar power, that must make you feel pretty good. Self-provision is an effort worth working for. I will be keeping track of your homestead progress. I am so trying to work towards a simpler lifestyle. Husband is not onboard so it is difficult. I got chickens 2 years ago for eggs and have started baking from scratch as much as possible. Buying in bulk and buying local. Baby steps. I am scared of the solar pricetag and lost as to how to buy a panel or two and hook them up to use on my own. I would love to hear more about your solar experience and how you would go about picking a panel or two for those of us who would like to start small. We had no intention of going off-grid but the relief of having no utility lines to accidently dig through was quickly replaced by sticker shock of $30K EACH to extend water, gas, electricity and telephone to our property. We won’t be able to occupy our new home fulltime for a couple more years until more of the off-grid options have been worked out but, thank goodness, we don’t have to sell out. Did you set-up the solar system yourself, or have one put in professionally? I looked into both wind and solar options with a local company and he told me NOT to buy wind turbines as they are higher maintanence than solar and cost more to keep running. He could quote us on what type of solar system to sue based on our current usage from our electric bill. Roughly $10,000 for a system to operate a new house (currently in a doublewide) and all our farm use. I ran the numbers and it’d pay for itself within 5 years. You mentioned hydro power, just be cautious because I know in OUR state of Michigan it’s illegal to tamper with waterways and hydro systems are not allowed, even tiny ones.